Your heating system is critical to your home comfort, and proper maintenance is the key to protecting your investment. If your furnace is operating improperly, heating costs can gradually climb because of unnecessary energy consumption. You’ll face more frequent repairs, shortened system life, and safety risks. 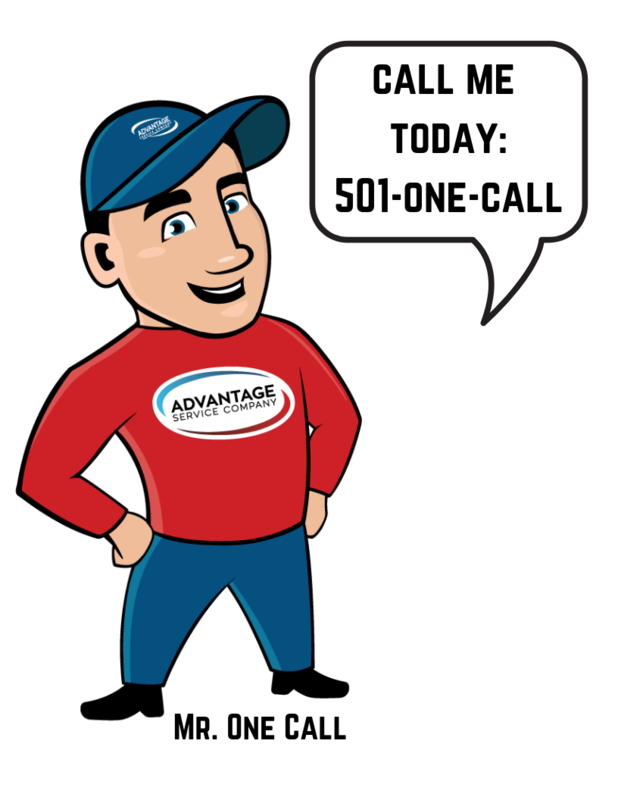 Trained in the latest techniques and technologies, the expert team from Advantage Service Company specializes in analyzing, addressing, and implementing cost-saving adjustments to ensure more reliable and efficient performance from your heating system. Contact us for heating installation, heating repair and annual heating service in Little Rock, AR and across Conway, North Little Rock, and Central Arkansas. When outdoor temperatures and humidity start to rise in Central Arkansas, is your air conditioner prepared to handle the changes in demand? What would you do if your AC unit breaks down after hours or on a holiday weekend? At Advantage Service Company, your safety and comfort is our priority - no matter the time of day. When you need air conditioning repairs in or outside of regular business hours, our licensed contractors are here to help. Our air conditioning company provides 24/7 Emergency AC Service across Little Rock, North Little Rock and Conway so that you never need to wait for Monday morning. If your unit is beyond repair, we also offer air conditioning installation with financing options. Contact the cooling specialists at Advantage Service Company today! 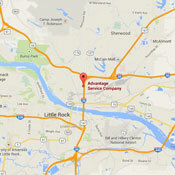 Contact Advantage Service Company in Little Rock, Conway and North Little Rock with complete confidence. Your safety and satisfaction are of the utmost importance. Our certified electricians take exceptional care of your home, property, and family, delivering the accurate and courteous service you deserve and expect. Timely arrival, an organized job site, the removal of all debris and packaging, as well as quick turnaround on all jobs, is part of our commitment to unwavering professionalism. Advantage Service Company is ready to answer your plumbing needs with the highest quality equipment, precision workmanship, and a broad range of services. We offer complete installation, follow-up maintenance, and prompt repairs for new builds, remodeling, and existing structures in Little Rock, North Little Rock and Conway. Our licensed plumbers are updated with local codes, equipped with the most technologically advanced equipment, and knowledgeable in system layout. The knowledgeable staff from Advantage Service Company has the hands-on experience and extensive training to match your specific requirements to the highest quality generators on the market today. Permanently installed home and commercial backup generators protect you from damage, inconvenience, and interruption caused by a power outage. Running on gas or liquid propane, these units sit outside like a central air conditioning unit. When the electricity you depend on is suddenly unavailable, a home backup generator will turn on automatically and run until utility power is restored. By delivering power directly to your home’s electrical system, your entire home or just select appliances are kept operational. Serving Little Rock and throughout Central Arkansas. Advantage Service Company has been earning the trust of home and business owners in Little Rock and Central Arkansas for 37 years. Whether you need installation, regular maintenance, or repair, we make sure your expectations are met with maximum value, efficiency, and convenience. And with a staff of more than fifty, we guarantee that our courteous treatment, prompt response, and dependable results will add up to your complete satisfaction. Through a wide range of heating and cooling services, you’re guaranteed to find what you need at Advantage Service Company. 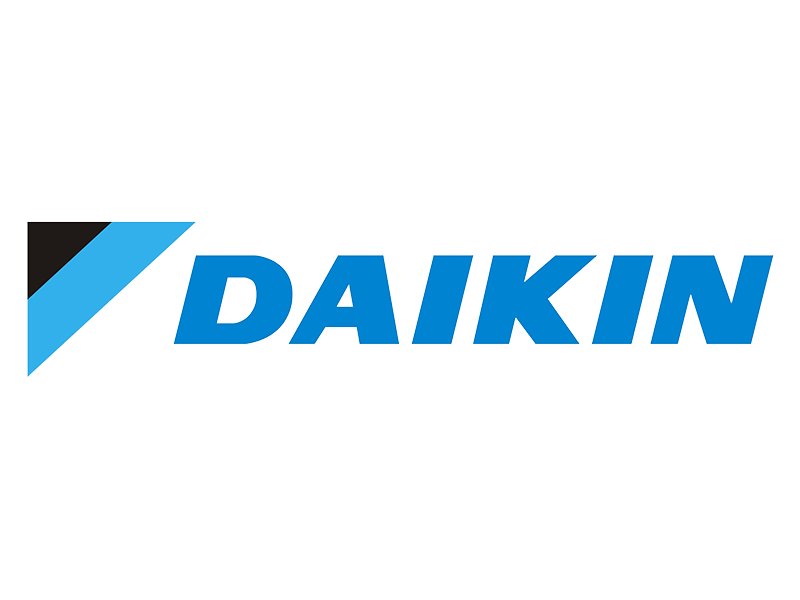 As a Carrier Factory Authorized Dealer, we handle year-round temperature control with the most intelligent HVAC systems on the market today. Experience a new level of comfort, benefit from lower operational costs, and enjoy uninterrupted performance when you trust your heating and air conditioning needs to Advantage Service Company. Advantage Service Company takes exceptional care of our residential and commercial customers throughout Central Arkansas. Whether you live in Little Rock, Conway, Searcy, Pine Bluff, Hot Springs or anywhere in between, we offer free estimates and flexible financing options, with approved credit through Wells Fargo and with no credit required through Microf, to facilitate your project. By providing 24/7 Emergency Service, we are your guaranteed safety net in times of trouble. For all of your service needs … One Call Does It All! Family-owned since 1979, Advantage Service Company has earned the trust of home and business owners in Little Rock by serving your best interests with the highest quality products and workmanship. Whether you need HVAC installation, regular furnace maintenance, or emergency AC repair, we make sure your expectations are met with maximum value, efficiency, and convenience. We answer all of your comfort needs with the same commitment to excellence. For over 30 years, the professional HVAC contractors at Advantage Service Company has grown to accommodate our expanding business. We continue to add loyal customers to our client list by handling every project with a straightforward, honest approach. From the day we first opened our doors, our initial goal to deliver outstanding products and services at fair prices has never wavered. Highly trained technicians, courteous treatment, prompt response, and dependable results add up to your complete satisfaction. Through a wide range of services, you’re guaranteed to find what you need at Advantage Service Company. 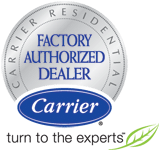 As a Carrier Factory Authorized Dealer, we only install the most intelligent HVAC systems available today. Experience a new level of comfort, benefit from lower operational costs, and enjoy uninterrupted performance when you choose Advantage Service Company for furnace installation and air conditioning installation. Plumbing Service, Expert Plumbers in Little Rock, AR, Conway, AR, and North Little Rock, AR! 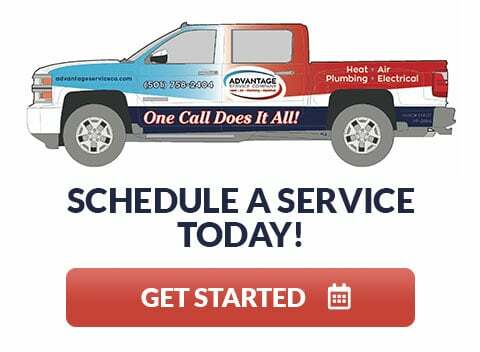 For all of your plumbing concerns and requirements, the licensed plumbers from Advantage Service Company have the extensive training, in-field experience, and advanced tools to deliver simple solutions to everything from sewer line replacement to leak detection and gas line repair. Our qualified technicians complete installation, follow-up maintenance, and timely repairs on water heaters, faucets, tubs, toilets, water lines, sewer lines, gas lines, and more. The licensed electricians from Advantage Service Company ensure safe and rewarding solutions to your electrical needs. We can help you answer the growing demand for more availability of power throughout your house, wire that new swimming pool or hot tub, light up your backyard, handle the requirements of an addition, new build, or remodeling project, and maximize the usability and enjoyment of your home. We will also keep your home up and running during a power outage with the installation of a reliable backup generator. For your commercial needs, Advantage Service Company employs certified HVACR technicians to promote comfort, productivity, and efficiency throughout your facility. With years of comprehensive experience and proven processes, our dedicated team specializes in cost-saving adjustments to ensure the more reliable and efficient performance of your entire refrigeration or HVAC system. We have the training and resources to install, maintain, and repair leading-edge heating, cooling and refrigeration systems for the sustainability of your facility. At Advantage Service Company, we take pride in the level of care we provide to our residential and commercial customers in Little Rock, AR and across Little Rock, AR, North Little Rock, AR, Conway, AR, Cabot, AR & Sherwood, AR. We value your confidence, respect your time, and never underestimate the importance of your investment. Contact us to learn more about our free estimates and flexible financing options. Through accurate installation and preventative maintenance plans, we ensure superior operation of your heating and cooling systems. We even offer 24/7 Emergency Service so we are always available when you need us. For all of your service needs … One call does it all! HVAC Company in Little Rock AR, North Little Rock AR, & Conway AR. New AC Installation, Air Conditioning Repair, Heating Repair.